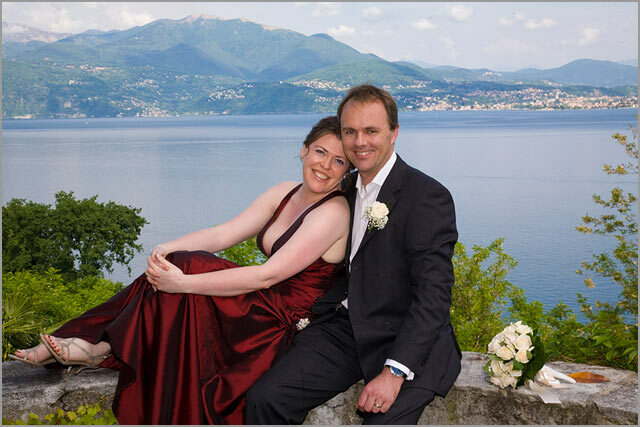 After Fiona and Scott’s wedding on Brissago island we come back on North of Lake Maggiore, on Italian side this time for Helen and Matthew’s wedding on Villa Margherita. Among all villas on Lake Maggiore no doubt Villa Margherita has surely the best view and not only! 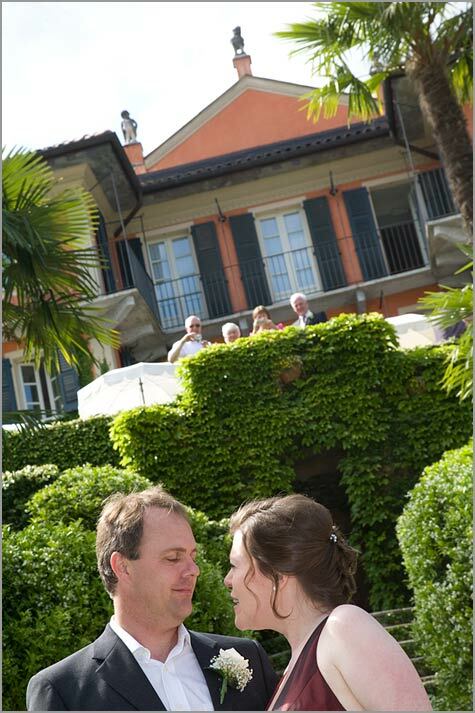 Villa Margherita was built in the beginning of 1900 and it has been recently renewed. 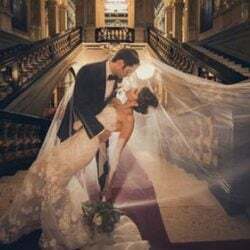 It has a wonderful park with swimming pool, an elegant pavilion for wedding receptions: the perfect venue for an unforgettable outdoor wedding. 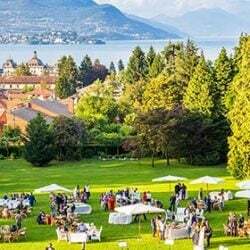 If you would like to know more about Villa Margherita have a look to our older post Get wed at Villa Margherita: charme, nature and a fantastic view on Lake Maggiore. Here above you will find the form to ask information and availability for the villa. 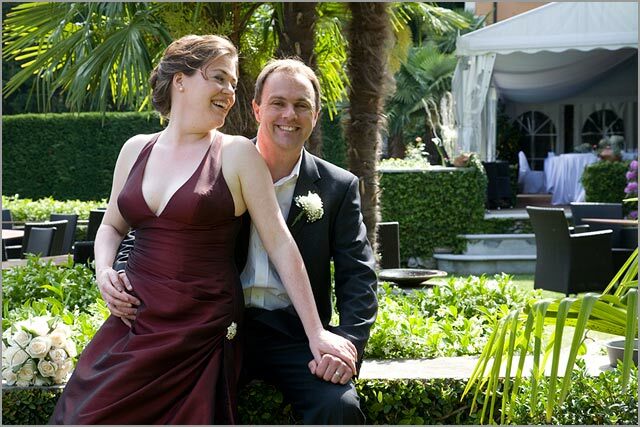 Helen and Matthew are an English couple who work and live in Zurich, Switzerland. 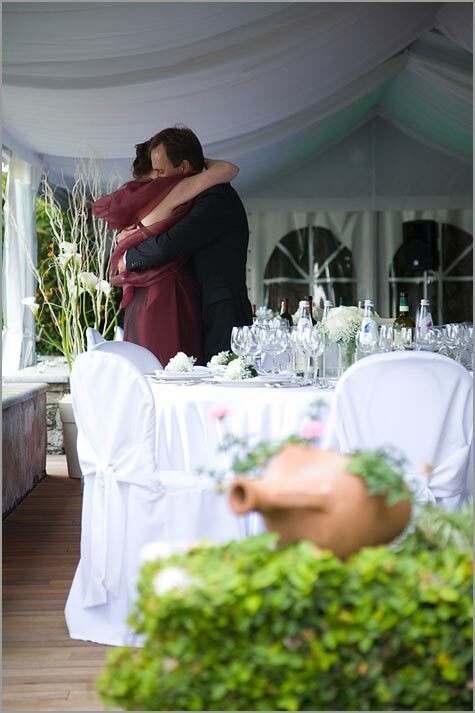 For their Italian wedding they looked for a quiet and natural venue with a great view and the possibility to host all their guests overnight. 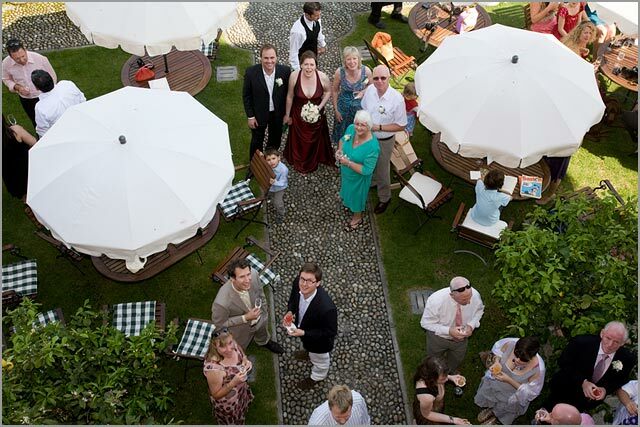 After visiting some venues on Lake Maggiore they opted for Villa Margherita in Oggebbio: the perfect choice! 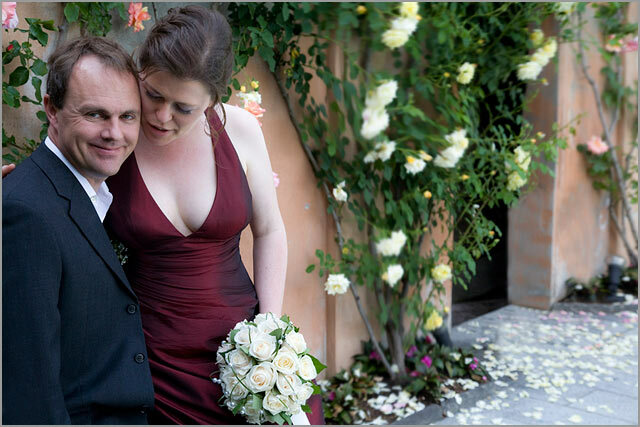 For their photoservice Helen and Matthew choose Alessandro Balossi and his spontaneous style. If you like his style HERE you will find the form to fill to ask for his availability and rates. 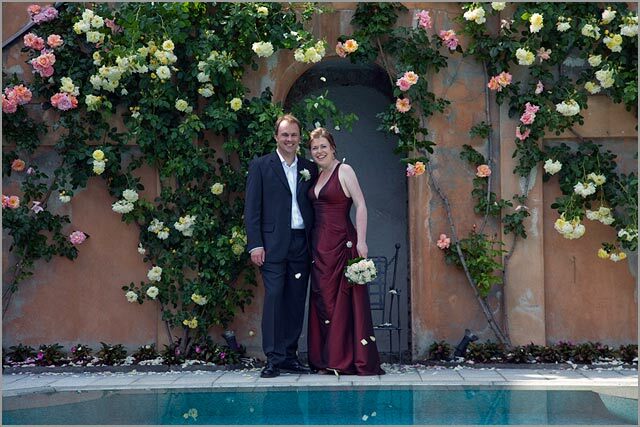 Helen and Matthew were blessed by a wonderful sunny day. 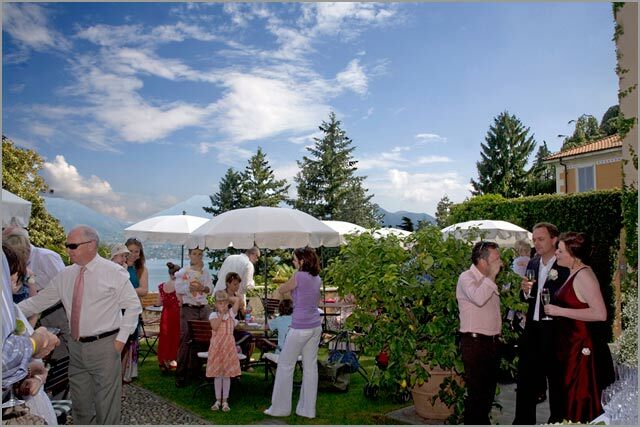 The symbolic blessing was held in the garden on one of the terraces facing the lake. 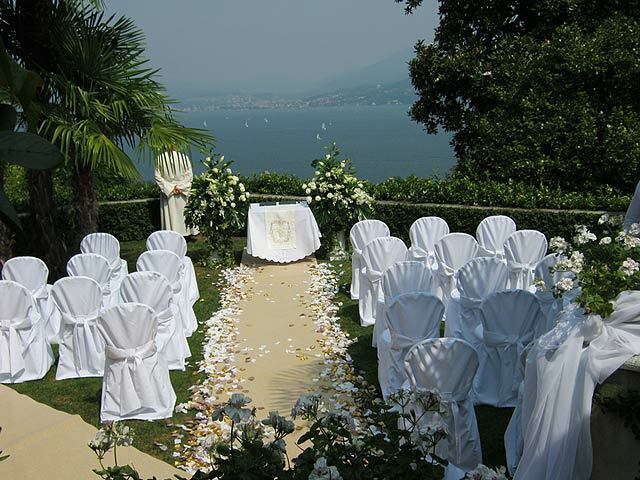 A perfect setting that few other villas have on lake Maggiore. 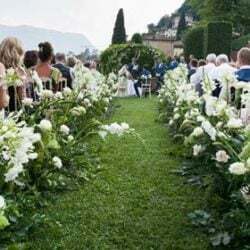 While all guest enjoyed a wonderful aperitif with canapes and Italian Prosecco, Helen and Matthew took the chance to take wonderful pictures in the garden of the villa full of jasmines and roses. Villa Margherita is located in the historical center of Oggebbio. It is just here that the famous novel La Stanza del Vescovo (Bishop’s bedroom) by Piero Chiara took place. Famous movie inspired by the novel with Ugo Tognazzi e Ornella Muti was shot here too. 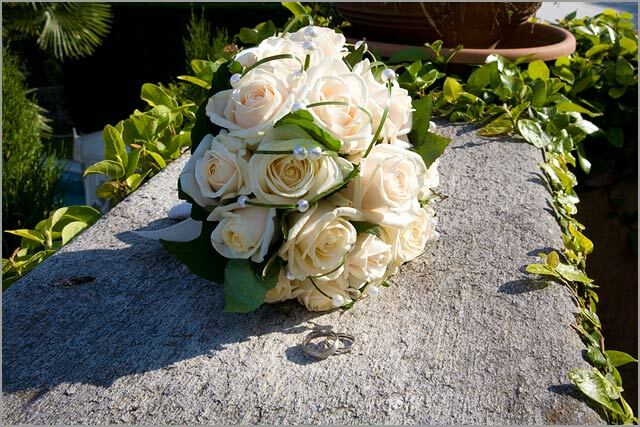 Have a look to Helen’s bridal bouquet. 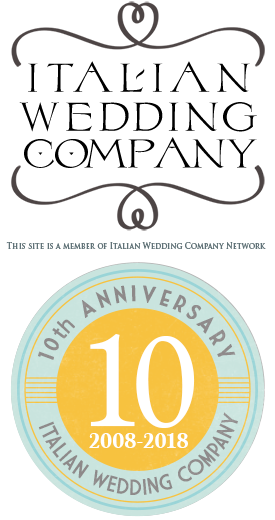 It was created with Vendela cream roses and thin Bear Grass with little precious pearls. As usual to Villa Margherita the dinner was arranged under the lovely pavilion overlooking the lake. 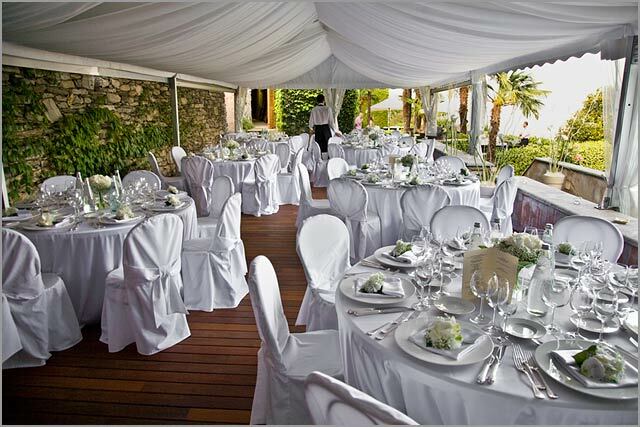 It is an elegant marquee embellished with lemons and tangerine trees and lovely stones walls. 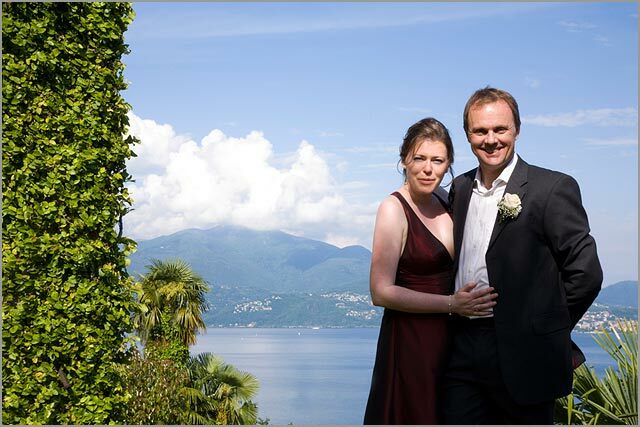 Helen and Matthew: a wedding on open air just in the nature with Lake Maggiore as background? Who could ask for anything more?